Grrr8 Treats is dedicated to providing you and your pet with healthy, yummy treats. 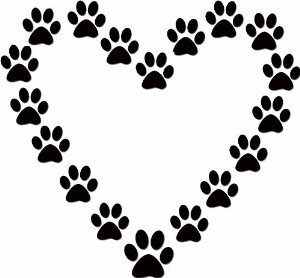 However, if your pet has a food allergy or ailment, it is your responsibility, as the owner of the pet, not to purchase any products that could be harmful to your pet. The ingredients for each Grrr8Treat is listed on this web site. Consult your veterinarian prior to purchasing any food or treats for your pet. 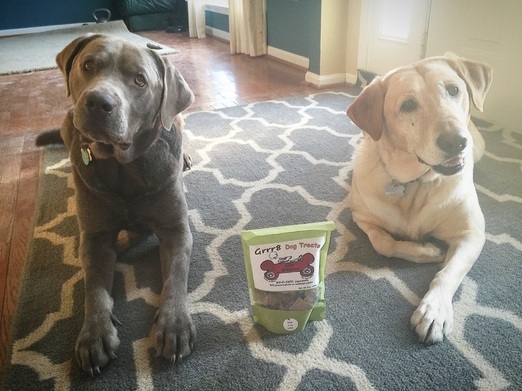 Grrr8 Treats specializes in TASTY, HEALTHY treats that your pooch will find pawsitively delicious. Healthy ingredients = happy healthy energetic dogs. Grrr8 Treats are baked fresh using all natural ingredients and contain NO wheat, NO fillers, NO preservatives, NO sodium and NO artificial colors. Treats are pure and tasty. Sniff out the yummy HEALTHY Grrr8 Dog Treats (listed in alphabetic order). Treat images are displayed on the "Online Ordering page." Does your pooch have food allergies? We also bake special diet treats. Need a specific type of treat? Email us at bark@grrr8dogtreats.com and we will try to bake up your request! Please do not leave Grrr8 Dog Treats in high temperature conditions. Store your Grrr8 Dog Treats in a cool dry area. Treats can be refrigerated or frozen. 100% Customer Satisfaction-- if for any reason you are not satisfied with your Grrr8 Dog Treat Purchase, please contact us to receive a full refund. A healthy pawriffic afternoon snack. The newest addition with wild-caught Calamari and has been a big hit with our Canine Tasters. Ingredients: rice flour (micro pure), natural oats, wild-caught Calamari, and filtered water. 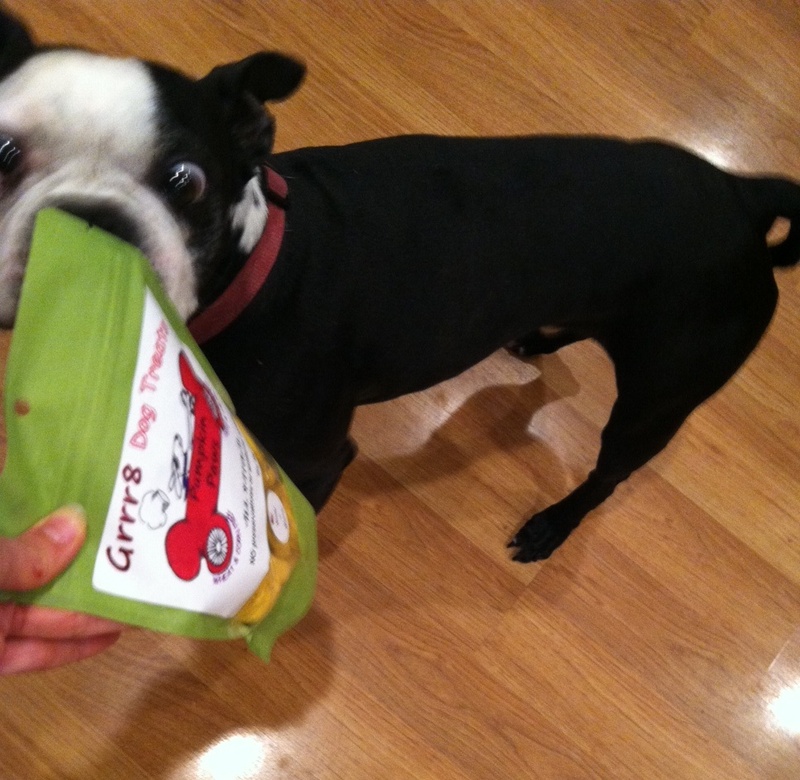 Only one of our canine taste testers enjoys carrots but all of our taste tasters enjoy Grrr8 Carrot Molasses Munchies. Carrots are a grrr8 source of fiber, vitamins A and C.
Our first SuperFood treat with veterinary recommended ingredients. High in nutrients and tasty too! Tiny liver bites that are a rich source of protein and minerals that can boost your pet's immune system. These grain free, gluten free bites are a sure hit for dogs of all sizes. Ingredients: beef liver, gluten free stone ground garbanzo beans, and filtered water. Dogs drool over these nutrient-dense liver brownies. Ingredients: beef liver, organic rye flour, filtered water. The tasty pumpkin in these treats provides potassium, beta carotene (natural antioxidant) and is Grrr8 for the digestive system. Ingredients: natural pumpkin, rice flour (micro pure), natural oats, filtered water. Peanut Butter Licken Good! You may find yourself snacking on these too! Ingredients: organic peanuts, natural oats, filtered water, organic rye flour. Low in calories and saturated fat, high in protein and rich in Omega-3’s. Ingredients: wild Alaskan pink salmon, rice flour (micro pure), filtered water, natural oats, organic rye flour.